In deciding the right level for the Claimant’s Costs Budget, the High Court Judge Mr Justice Birss rejected the Defendant’s suggestion that the Claimant’s budget has to be set roughly at the same level as the Defendant’s budget. 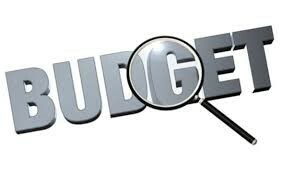 “The Defendant’s budget is too low and is not a good guide”, – said the Judge. Mr Justice Birss also ruled that, in a multi-party case, each budget was to be looked at on its own, rather than combined to the total of what the other side might have to pay. This case concerned a dispute between bus companies over slots in the bus station in Cwmbran. The Claimant, a bus company, issued proceedings against the Defendant bus company alleging trespass to their bus slots. The Defendant counterclaimed in competition law against the Claimant and the Third Party bus station owner, the Prudential Assurance Company. The claim was transferred into the specialist competition law list in the Business and Property Courts in Wales. A 10-day trial is set for July 2019, with two economist experts and seven fact witnesses. However, this Judgment is concerned with the important issue of costs budgeting and proportionality. The Defendant’s budget was for £288,000 to bring this case to Trial, including £103,000 of incurred costs. However, the Defendant’s initial costs budget last year was for £400,000. The Claimant’s and the Third Party’s budgets were each of £1.5 million to bring the matter to Trial in the same way. The Claimant’s incurred costs are about £100,000, similar to the Defendant’s. The Third Party’s incurred costs are £348,000. The Defendant (effectively the Claimant in the competition case) submits that this is a case of modest value being brought by a modest company and that the Claimant’s and the Third Party’s budgets are seriously disproportionate, given that the damages in this claim are likely to be in the region of £80,000 to £120,000. The Claimant and Third Party argued that the Defendant’s budget was unrealistically low, so as to act as an unfavourable contrast to their figures. They also said that this claim is not and should not just be seen as simply a modest claim for damages in the order of £80,000 to £120,000 and submitted that the claim has serious implications for both the Claimant and the Third Party. However, whist accepting that the land law issues were potentially legally novel as land agreements are now within the purview of competition law, Mr Justice Birss found that “legal novelty is not a good explanation for high costs”. Mr Justice Birss concluded that it should be possible for a competition law claim about a bus station to be tried at a more modest costs level than £1.5m. Mr Justice Birss analysed various parts of the budgets and decided that “the appropriate overall figure in this case for the Claimant or the Third Party should be £800,000”, which is double the initial estimate from the Defendant and approximately 2.8 times that of the Defendant’s current budget. It is also approximately 6.7 times that of the likely quantum of damages. Whilst in this case the Claimant’s and the Third Party’s budget in general were found disproportionate, the Judgment clearly emphasises that the Court will not tolerate a tactic frequently used by parties when they try to lowball their opponents by setting low their own budget and then subsequently arguing that the opponent’s budget has to be set at roughly at the same level as their own one.